In lieu of Princess Week I thought I would post a book I have had lying around my desk at work for some time. Although it’s more about a certain fairy, there is a princess involved, read on…. Synopsis: Follow this cute tongue-in-cheek fable of the transformation of a little tadpole from frog to prince and hero and the naughty fairy whose interference won’t fail to raise a smile! A perfect bedtime treat! Why I like this: It’s cheeky, cute story will certainly entertain a young reader, will encourage questions and is perfect for that special read aloud at bed time. I liked how Nick’s text encourages the reader to turn the page each time to find out what our little hero has turned into next. It is well thought out with bright cheerful illustrations which move the story along, even introducing well known characters such as the Three Little Pigs and Red Riding Hood, not to mention the naughty fairy having put the Princess in the tower. Hence the timing of posting this particular story. Nick Ward admits he loves classic books, such as his favourite Treasure Island, and in the many picture books he has written and illustrated often such classic characters have walk on parts. While he believes one can never really rewrite a great classic, such walk on parts can give his stories a sense of familiarity. Resources/Findings: Again it has taken me awhile to find any links for this story. But I did find Nicks website as well as a blog community he blogs in, which writers and teachers may find interesting fodder for how the stories come about and his thoughts on the writing process. My own thoughts: Having children draw and write about what they want to be when they grow up. Have them write what they would most wish for. While reading and reviewing this book and looking for resources I found myself doodling and actually tried my hand again at pencil drawing. 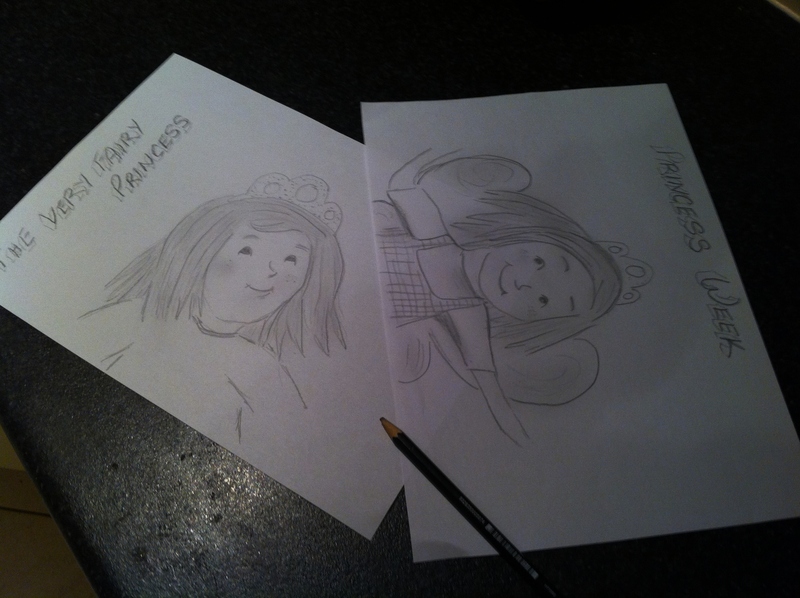 I am no artist by any means but here are a couple of pictures I did last night inspired by the Fairy Princess books…. This entry was posted in Picture Book Review, Reading Aloud and tagged childrens literature, Nick Ward. Bookmark the permalink. Keep drawing! I especially like your princess on the right, Princess Week? Book sounds good, looking it up now! LOL…. Honestly I am no artist Julie…lol. But thankyou. I hope it is available in libraries and some stores as I had read somewhere it was temporarily out of stock, but then my shop is selling it, so I guess it’s a matter of shopping around. Thanks for stopping in Julie. The cover art is amazing! It pulled me right in. This book looks incredible. The illustrations are certainly fun dotted with exclamations that kids can yell out. It’s kinda cheeky in a fun way. Enjoy Kirsten. Yay! Glad to see someone has the book and loves it. Yes when I checked ut his website he has very detailed drawings that I find it hard to believe he illustrated this one as it has a more simple outline.. (for want of a better phrase). Thanks for coming by Suela. I’d love to read this Diane, great pick! Great choice Diane. I think we need naughty fairies. Sounds like a very funny book. Great illustrations! Checked earlier this morning and you hadn’t posted. Really like this book! Sorry I am often late and I nearly missed getting my link to Susanna. Unfortunately I can not post my link directly on to her website for some reason so have to wait for her to post it for me. Glad you liked the book it is very amusing. Thanks for commenting Pat. Funny, I have the same problem. She always posts my link. Maybe its because we have WP? But others do. Yes it is very funny. It has everything in it. I found it amusing when the three little Pigs and Red Riding Hood turned up for the wedding…. There is a twist at the end. My lips are sealed…..lol. The cover definitely draws me in [no pun intended 😀 ] while the title entices me. Love your comment thanks Lori. Thankyou so much for your kind remark on my attemps at pencil drawing. It’s hard trying to remember what I used to do… but thanks! Thankyou Erik for your kind comment. Yes please do check out his website I think you will find his other books very cool. Thankyou Barbara, glad you liked the choice. Your welcome. 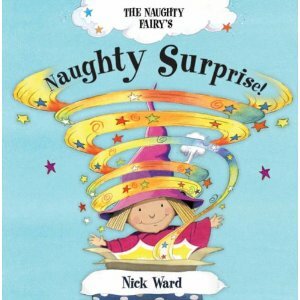 I want to know more how the naughty fairy gets involved! I thought your sketches were excellent. Really like Gerry! lol… she was the one who put the princess in the tower and then arranged a naughty surprise for the King when she was not invited to the Princesses wedding…. you will have to read the book to see what the naughty surprise was and how it back-fired….lol. Thankyou Joanna.